We’re pleased to offer Austin and the surrounding area a full inventory of new Land Rover vehicles as well as high-quality, Approved Certified Pre-Owned vehicles. If you’re looking to buy or lease an extraordinary vehicle backed by outstanding sales and service, come to Land Rover Austin . Attractive lease and finance offers are available. 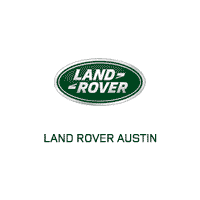 Visit us today at 1515 W 5th St, Austin, TX 78703, and experience our passion for Land Rover first hand. We look forward to serving you!